SPORT 3rd/4th level dressage. Macho is getting the flying changes, piaffe, passage. Total schoolmaster! Easy, brave, perfect teacher! Macho man! We are very excited about this special guy. We have been following this beautiful boy for over a year now and we feel very lucky to have the opportunity to buy such an exceptional horse. 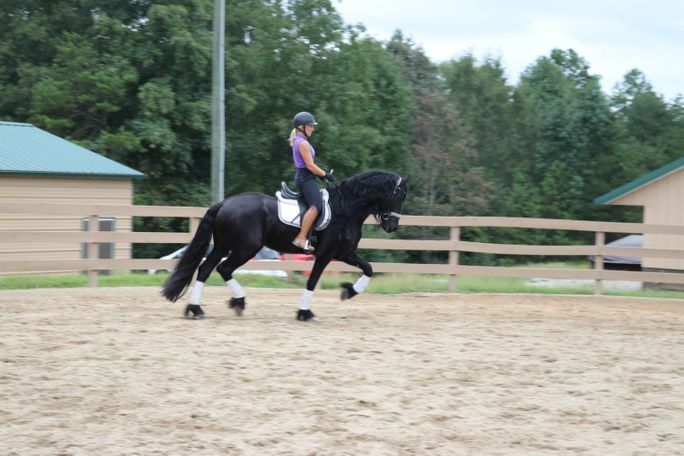 Macho has earned his Sport status competing in 3rd level dressage in Europe. He is extremely talented with a remarkable work ethic. At only 7 years old he has competed in 3rd level, and already schooling 4th level. He is getting his flying lead changes and getting the passage and piaffe. 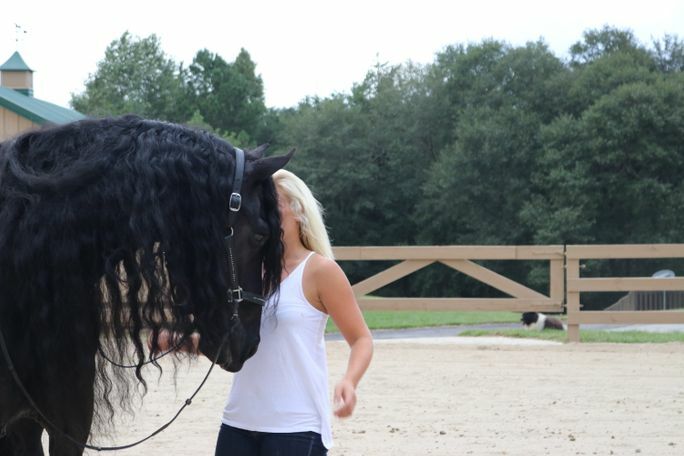 These things can be very hard for a Friesian to learn, and he is already excelling at them at 7 years old. Not only is he extremely talented and has a great work ethic, he is a real stunner. 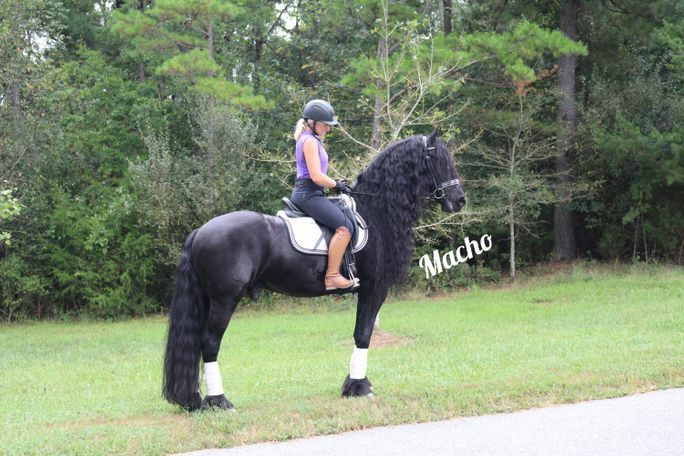 If you are looking for a fairytale Friesian, Macho is IT! 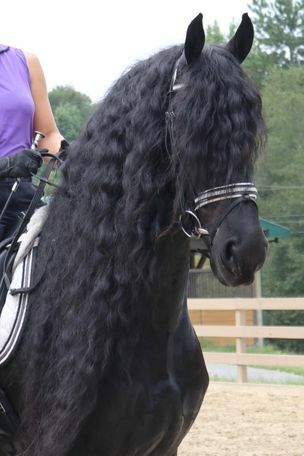 His long, thick mane, forelock, and baroque build just make him magnificent! Earning Sport predicate is not an easy feat, especially at 7 years old. Sport status is a highly sought after achievement--meaning he has more than five scores of 60% or higher in 3rd level dressage competition. Macho has lots of competition experience competing in the upper levels. 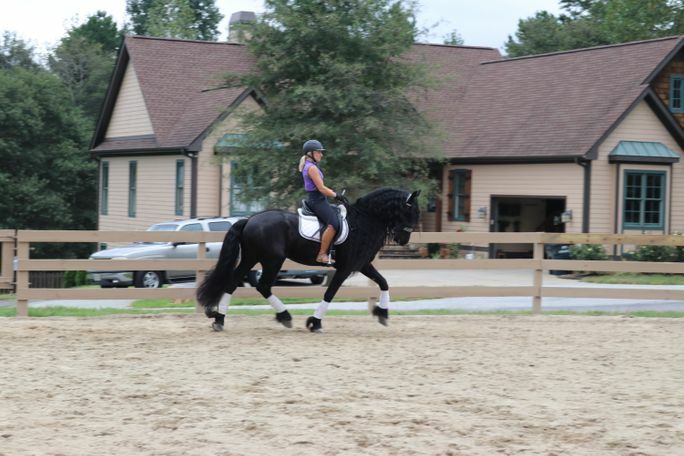 He has been schooled and shown by a famous grand prix rider in Holland. Something that we fell in love with is that Macho is a real schoolmaster. 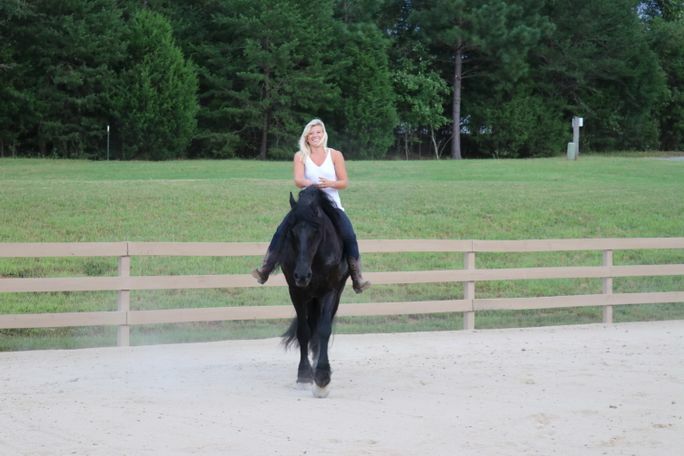 He is incredibly easy to ride! 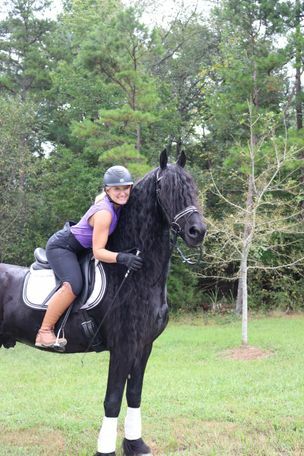 He gaits are smooth, great if you have lower back problems. 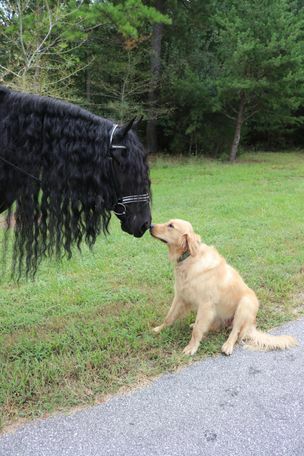 He is forward when you ask him to be, but is very quiet with a timid rider. 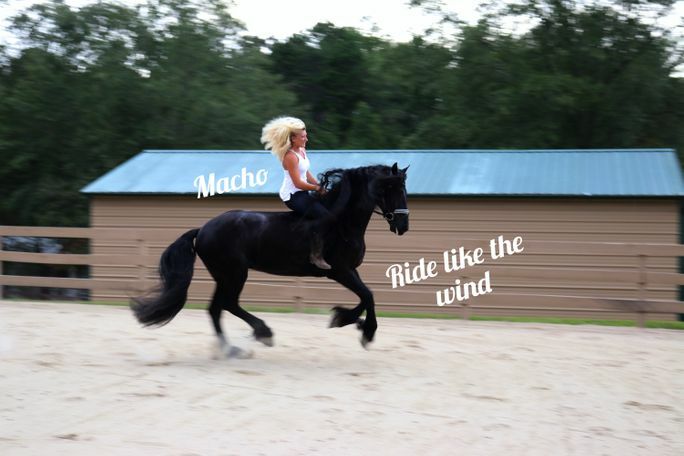 Macho is also very brave. He loves to trail ride both in groups and alone. 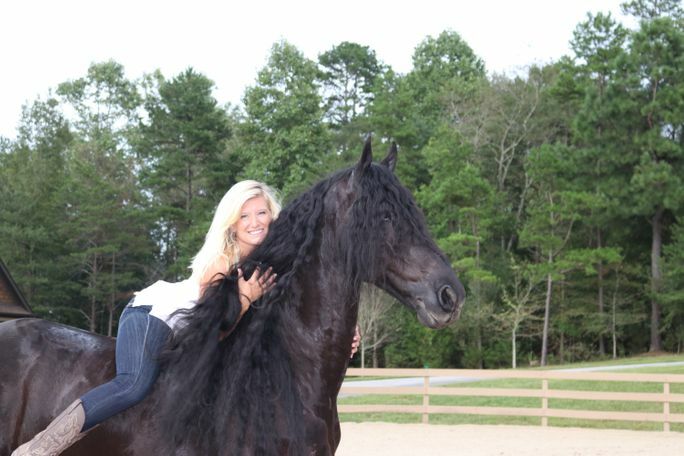 Macho was very talented, and was selected to go to the Stallion show as a young horse and he made it to the second round. Macho is a drive off the show room floor kind of horse with SO MUCH EXPERIENCE and a proven show record with many years ahead of him. 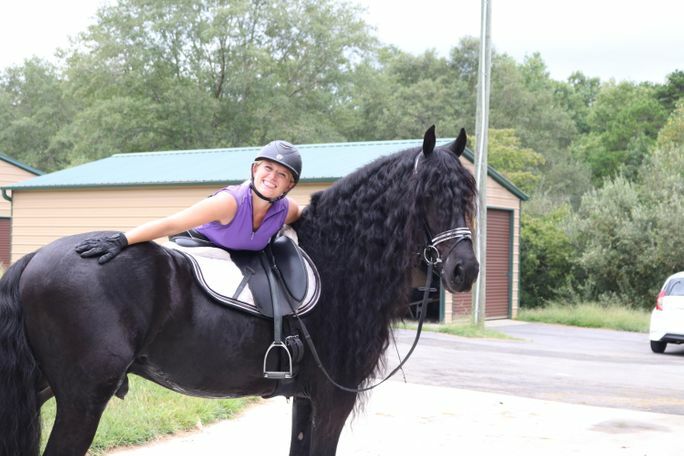 This beautiful boy is a total schoolmaster and very easy to ride. Even getting the flying changes, piaffe and passage.